Madden Smashes 100 Record - Yes - he's back and with a bang. After a year of recovering from injury John Madden of Curran Racing ate up the 100 miles at Woodgreen in the Ulster Championships today in a time of 3:45:05 . This is a new Irish record (subject to ratification) by almost six minutes. 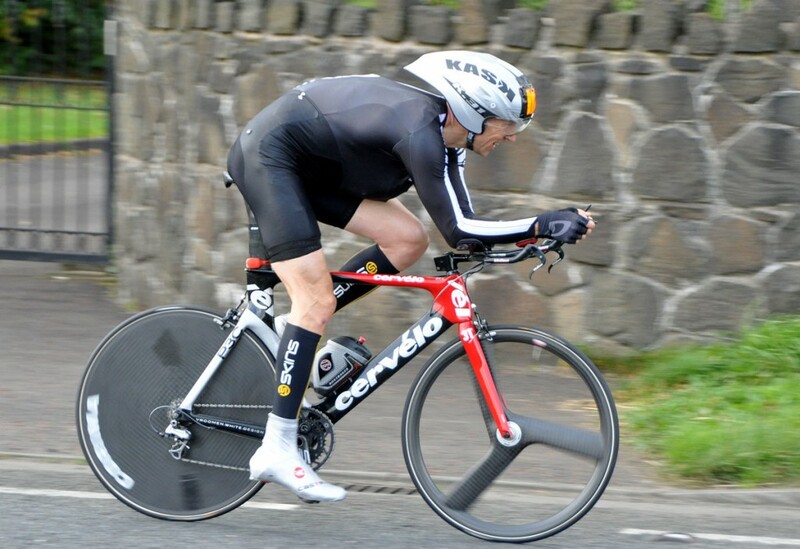 In 2010 it was Cuchullain man, Bryan McCrystal who broke Rory Wyleys's record by a mere one second in a time of 3.51.01. The weather was kind to the riders today with the sun coming out and becoming quite warm. 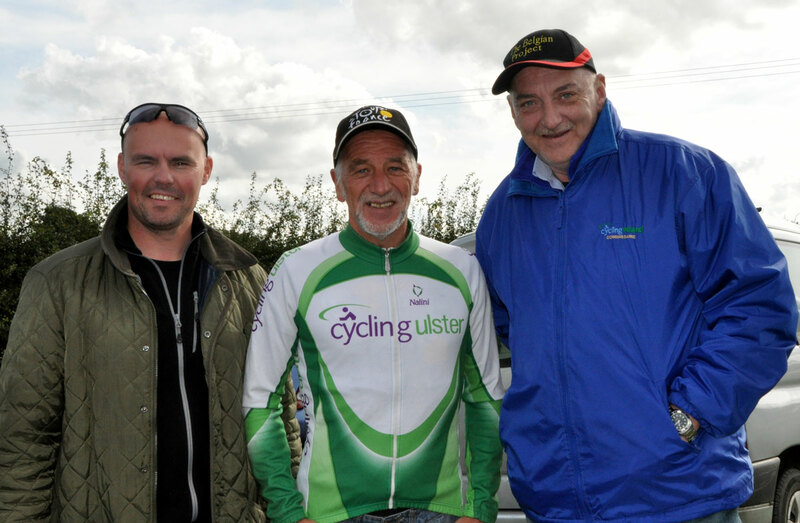 A brisk breeze made the ride out to the Ballymena roundabout more difficult in the early stages of the event but it was a day for PB's with riders such as John Rooney (Phoenix CC), Dominic Drumm (Bann Wheelers), Martin Birney (SportActive) and Stephen Harkens (Team Madigan) all taking time out of their previous best time for the course. A number of riders faced the 100 mile challenge today for the first time. Stephen Workman of Ballymena Chain Reaction was one of these and he was delighted to record the second fastest time on the day with a 3:52:42 to take the silver medal in the Senior competition. 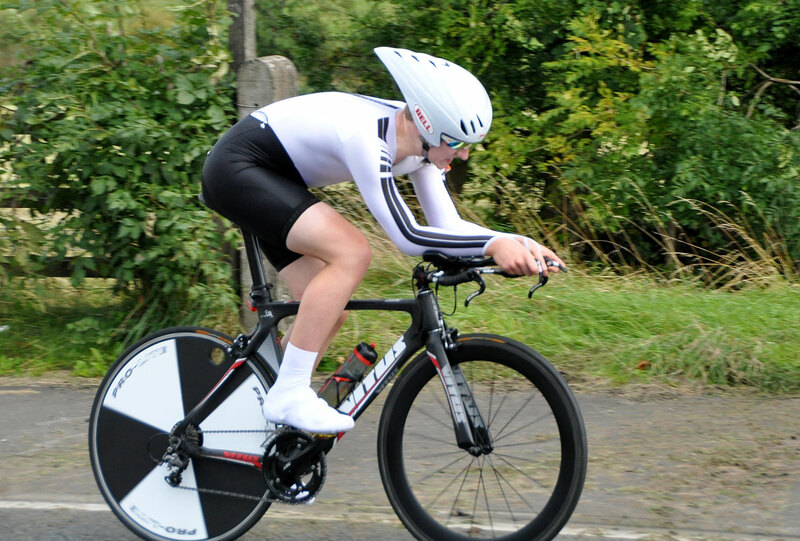 Conor Hanna of North Down also rode the event for the first time and was only one of four riders to go under four hours with Madden, Harkens and Workman being the other three. Conor Hanna must also be kicking himself as he missed out on the bronze Senior medal by a mere one second. I think we could see more of this young man yet. Kay Hack of Bann Wheelers was the only woman to take part this year and was also part of the organising team. She richly deserved her Gold medal. In the team competition Phoenix CC took the honours. The team of John Rooney, Jim Hegarty and Christian Nachtigall were delighted to win. It was particularly good for John whose birthday it was. 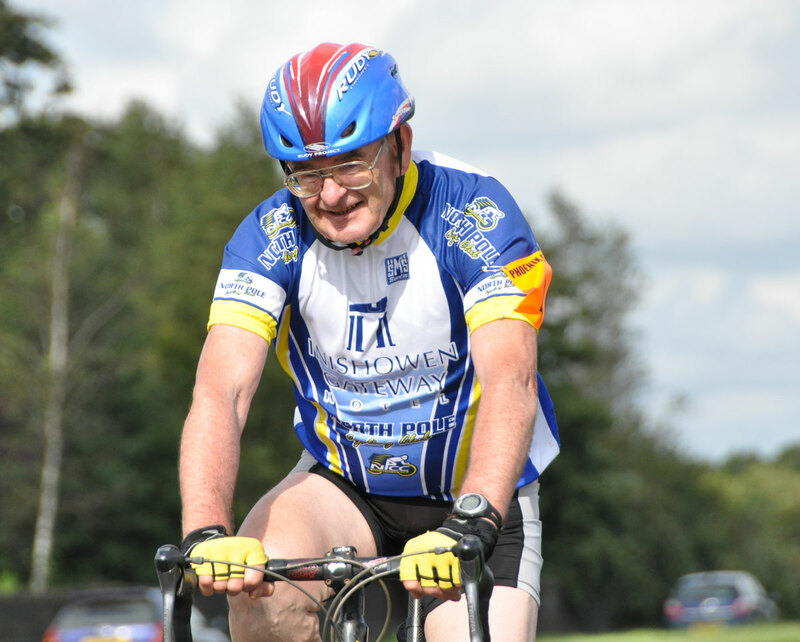 Seventy year old, Willie John McLaughlin was the oldest rider in the event and was determined to take five minutes off his previous best time of 4.55.01. Everyone was delighted when he succeeded in recording a 4.50.25. John Madden congratulated Willie John saying, "Willie John is an inspiration to us all. 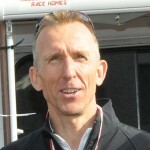 Whenever you feel like giving up just look at what this man has achieved in only five years of cycling. I just hope that when I am the same age I will still be able to turn up here and put in such an excellent performance. Willie John like both Patrick Morning (Four Masters) and Paddy McCallion (North Pole) must have had to leave Donegal very early in the morning to be at Woodgreen for eight o'clock. Many thanks for making the trip. 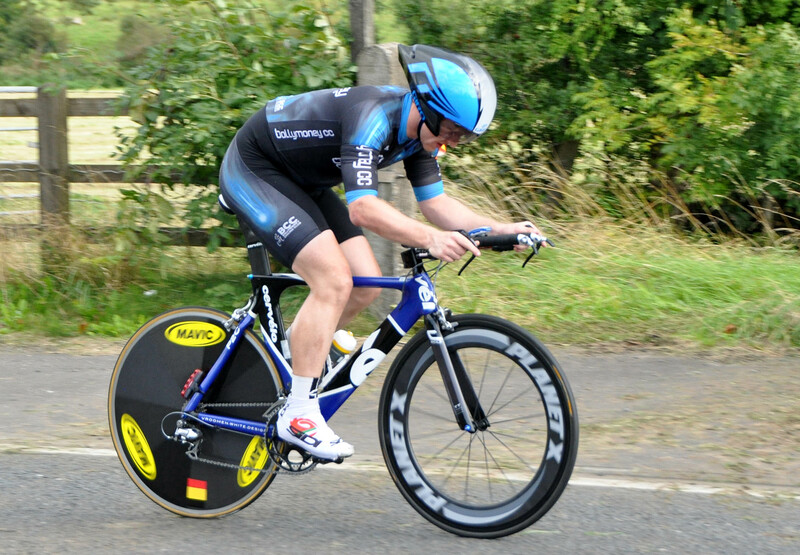 Hard luck to John O'Sullivan (Audax Ireland) who punctured just before the half way stage and had to abandon. Congratulations to all those riders who took part in the event for the first time. 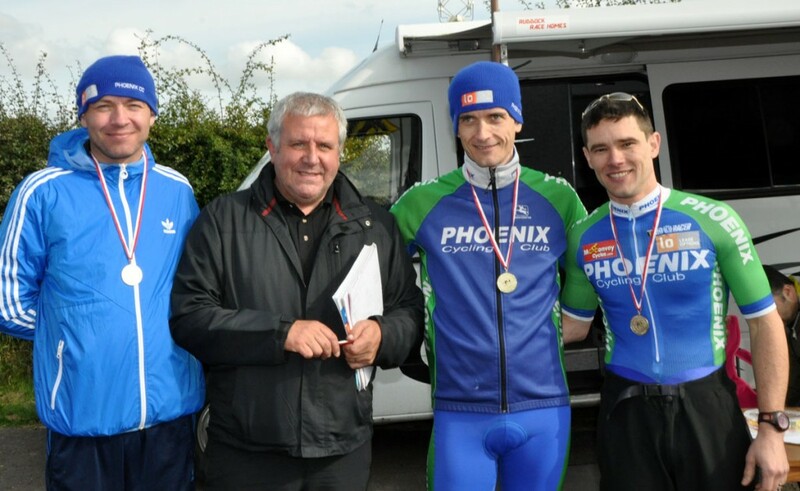 Mark Prendergast (Sorrento CC), Sean McIntyre (Orchard CC), Ryan Patton and Stephen McAllister (Ballymoney CC), Patrick Withers (West Tyrone Velo) and Martin McAnulty (Dromara CC). 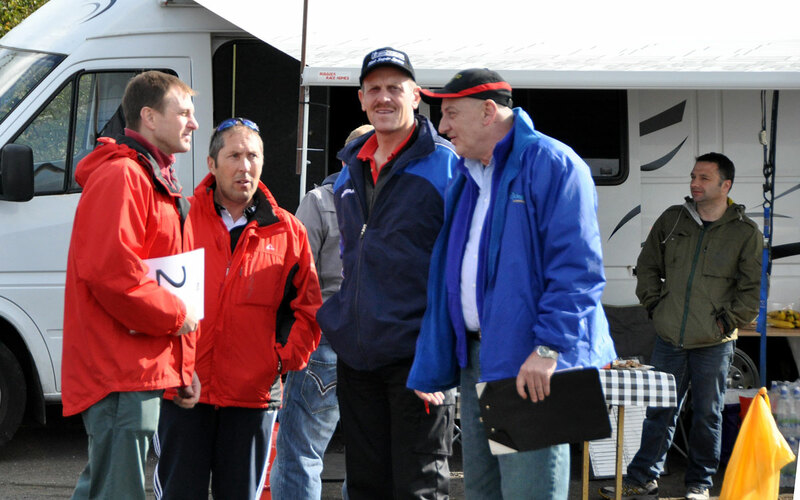 Many thanks must go to Maurice McAllister and the team he pulled together at the last minute to help stage the event. The members of Ballymoney CC are to be congratulated on rising to the occasion. There were loads of mashalls, turn stewards and back up cars while Joan Trengrove kept everyone well fed at the start finish line. However it wa not just Ballymoney who offered help and support. Sheena O'Neill, herself a well known tester, showed up to help at the roundabouts while Joan and Hugh McCullough offered first aid support. 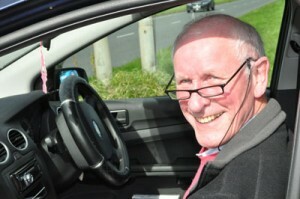 Gordon Parker, who had only been released from hospital following an operation was insitue to time the event and our thanks go to him. Eamon Burns Senior and his son Eamon Junior ensured that there were plenty of warning signs enroute and helped with marshalling and results. Dany Blondeel was on hand all day as Commissaire and did a great job. It was good to see Derek Dougan on his feet, although still weak, following his horrific accident over the summer. Derek came along to cheer and support the riders. Peter McGratttan of Ballycastle CC offered to help out as well and was seen handng up bottles. 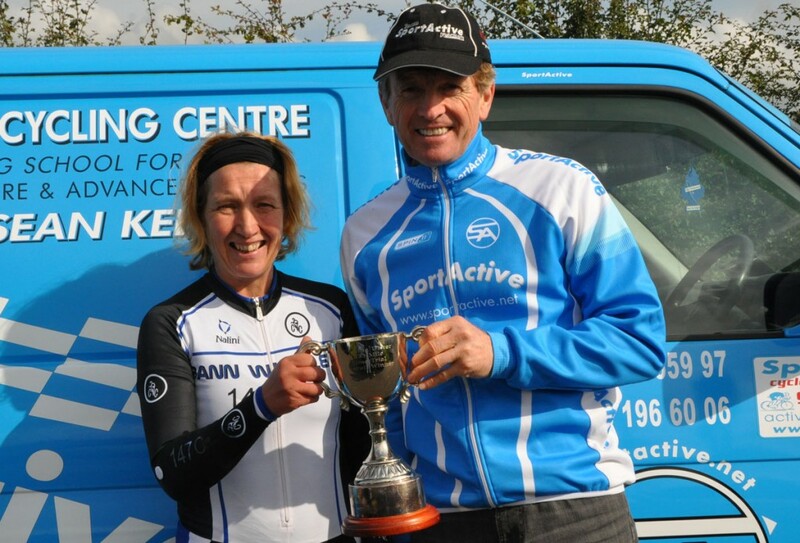 Martin Birney of SportActive who also competed in the event winning bronze medal in the veteran's category was on hand to present the Martin Birney Sport Active trophies to John Madden and Kay Hack. 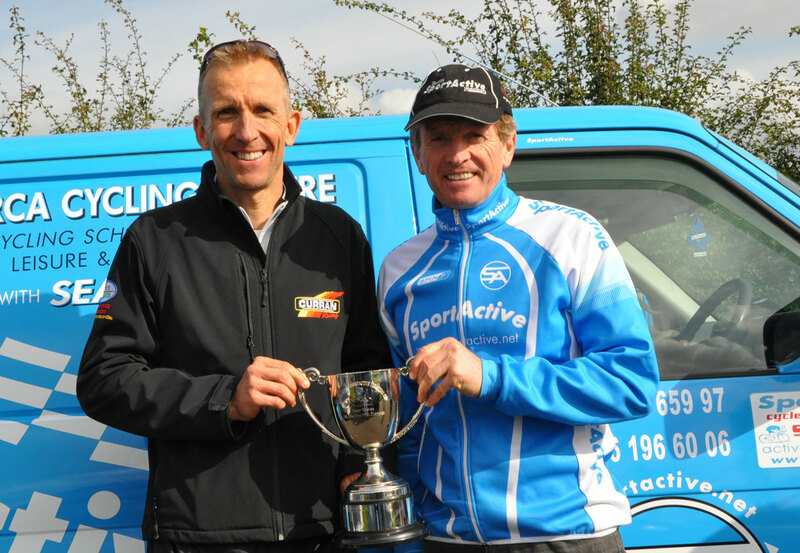 John took the SportActive trophies for First Vet and first Senior as well as the Cycling Ulster All Comers Cup.